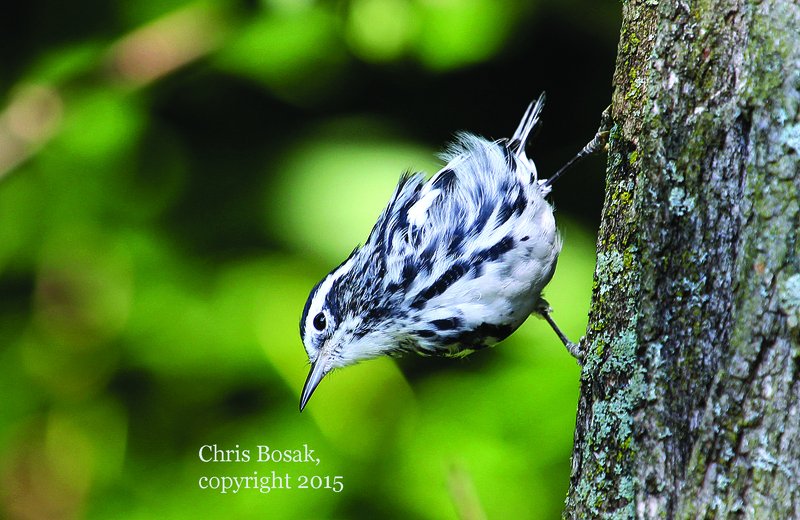 A Black-and-white Warbler clings to a tree in Hoosick Falls, N.Y., in summer 2015. 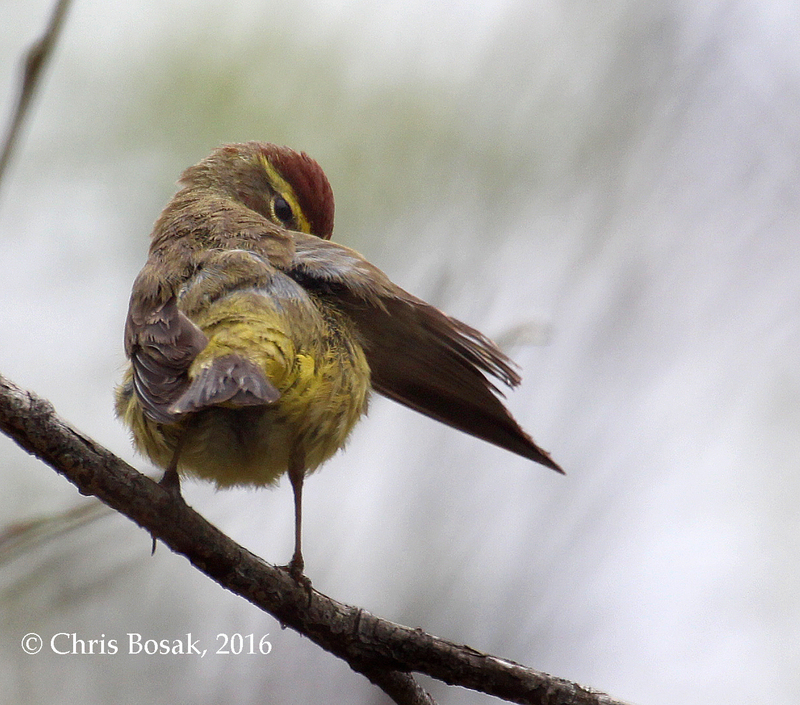 It may be hot as ever as we head toward the second half of August, but the birding action is heating up as well. After a few months of relatively slow birdwatching as our feathered friends kept a low profile to raise families, the birds are starting to show themselves again. I visited my brother Gregg’s house in upstate N.Y. near the Vermont border and the birds were out in full force. In one day I saw a Scarlet Tanager, Rose-breasted Grosbeak, Black-and-white Warbler, Pileated Woodpecker, Wood Thrush, and Ruby-throated Hummingbird. More common birds seen that day included chickadees, titmice, catbirds, Chipping Sparrows, American Goldfinches, robins and Blue Jays. The summer is not over yet and the birdwatching is finally heating up, too. Let me know what you see out there. A Common Yellowthroat perches on a branch at Selleck’s/Dunlap Woods on Sunday, May 11, 2014. 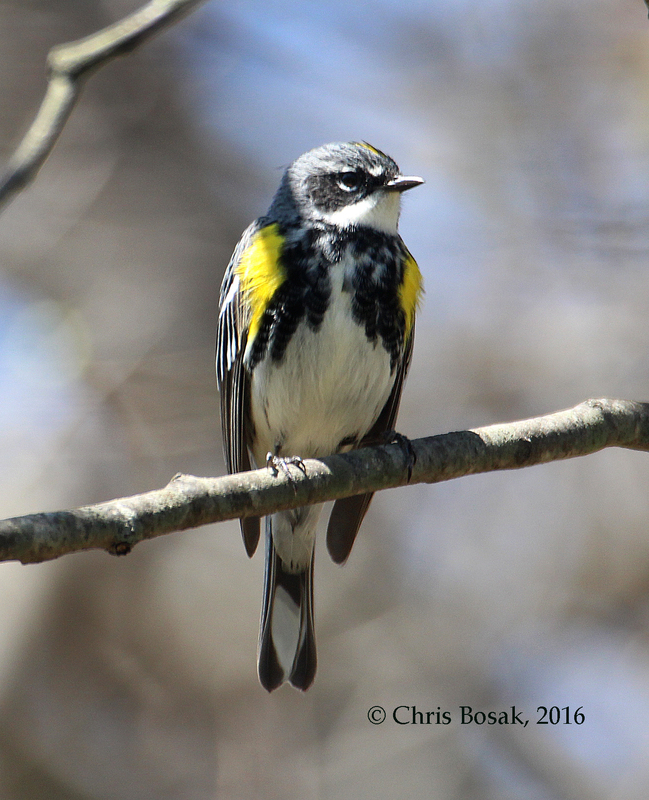 Here’s another warbler photo taken this weekend at Selleck’s/Dunlap Woods in Darien. Last week I had a post with several warbler species included. 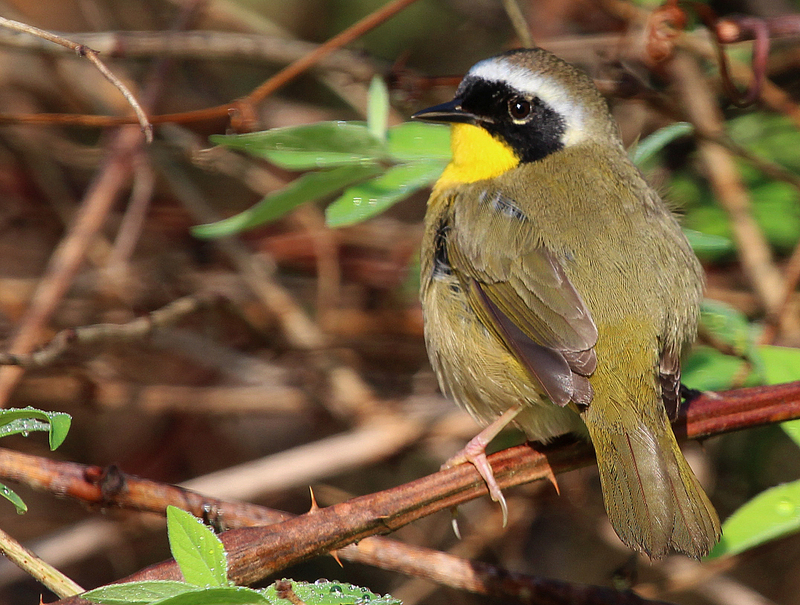 The Common Yellowthroat was not included in that post, but I found a fairly cooperative one this weekend. 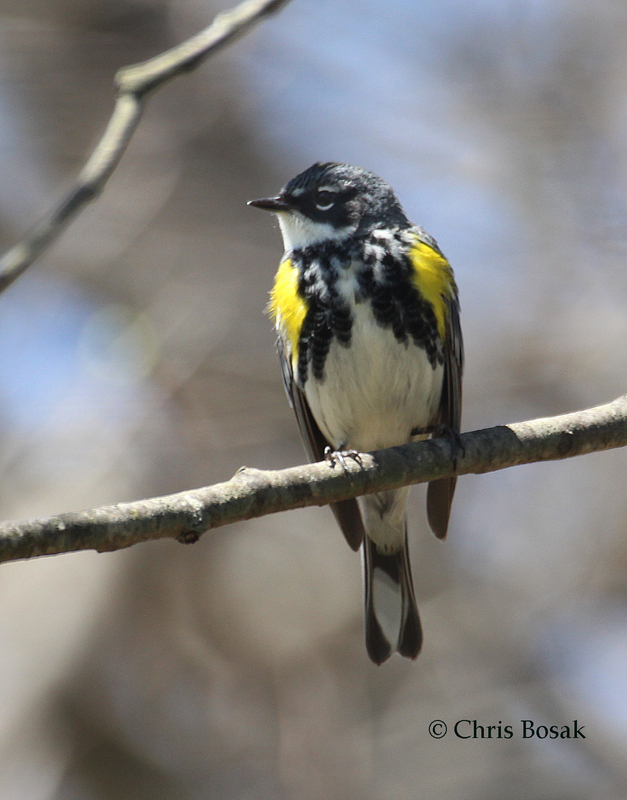 Yellowthroats can be tricky to photograph because they are usually hidden among thick brush, often near wetlands.